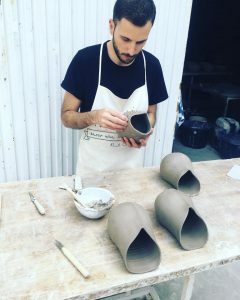 Exclusive design flowerpots to pay tribute to the Patios Festival in Cordoba, Spain. CoCeR-Ceramics Association from La Rambla, together with the online shop Cerámica Rambleña, have launched an art project in which a number of potters, ceramists and painters from La Rambla (Cordoba) have designed and made by hand different unique hanging flowerpots to honour the well-known Patios Festival in Cordoba, recently declared as Intangible Cultural Heritage by UNESCO. 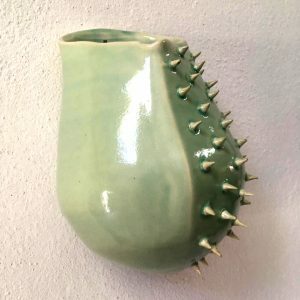 The proposals of ceramist Luis Torres are two designs inspired in the chrysalis (“crisálida” in Spanish language) with two different decorative treatments. 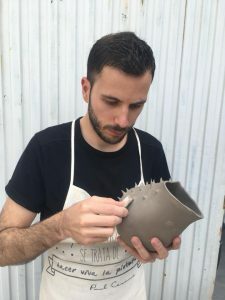 Once it gets the perfect hardness as said before, ceramist Luis Torres adds the different textures. Ont he one hand, the pointed Crisalida Pot is made by adding clay points which are made by hand. On the other hand, the facets Crisalida Pot is made by cutting the surface with a sharp knight. 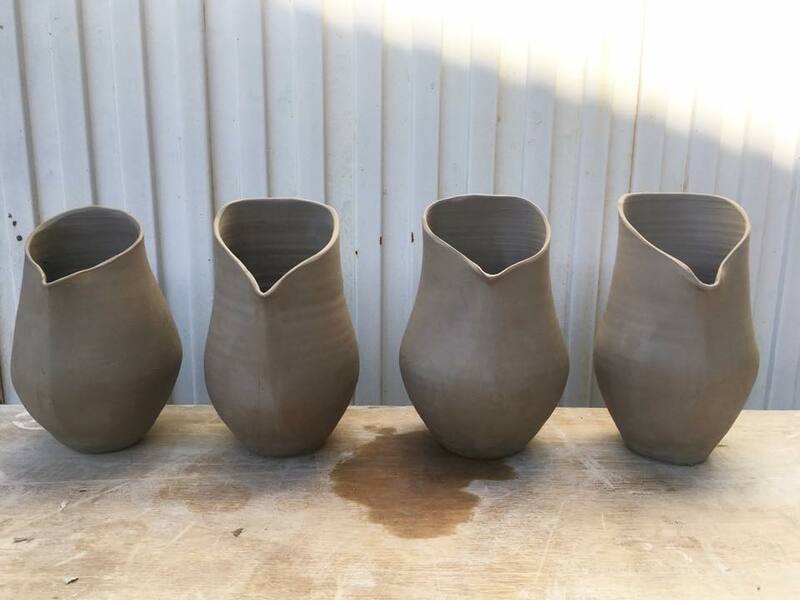 Finally, these pots are perfect both for traditional and contemporary patios, even for inner patios or outer gardens and interior designs; as their shape is suitable for modern and classical environment and decorations. In case you like them, you can shop online HERE. But the best part of it is that, by shopping these, you can help raise money for a good cause, as part of its price goes to the Association of Disabled People Ntra. Sra. de la Esperanza from La Rambla, Cordoba, Spain. BeibiPUNK, the revolution of children’s flatware!